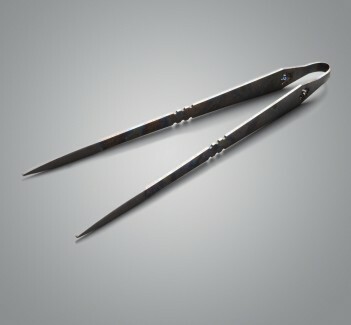 A fork fit for a feast. Keep it in a drawer at the office or pack it on the next backpacking adventure. Don't be fooled by the aggressive stance and captivating lines of this American Kami design, this fork is as comfortable on the tongue as it is in the hand. Using Berry compliant titanium sourced from US military and aerospace scrap exclusively, DJ Urbanovsky finishes each piece with a tumbled and heat anodized finish. Light, strong, non-magnetic and medical-grade 6AL4V titanium is, as in all of DJ's unique and high-quality sporks, forks, spoons and Chongs, the ultimate eating tools material. 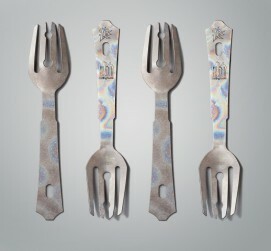 Eating Tools Exclusive Design - 5% of all AK Eating Tools Fork sales will be donated to food related charities. 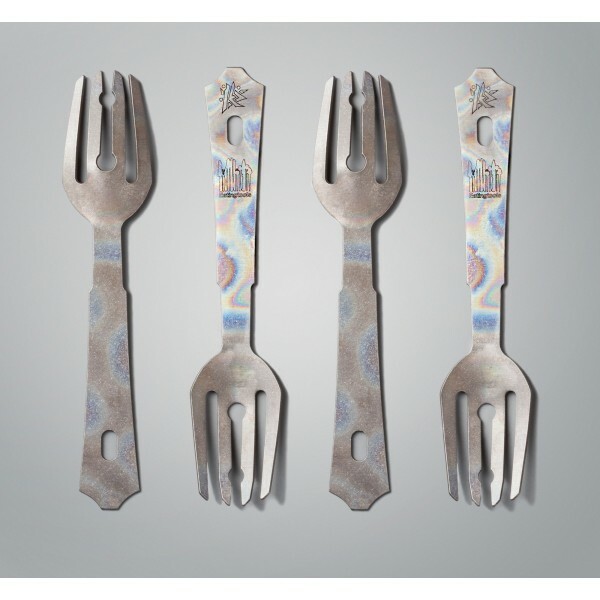 The latest in a series of collaborations with DJ Urbanovski of American Kami, we are excited to have this exclusive AK Eating Tools Fork design with the Eatingtools logo laser etched into the anodized titanium.  The Kami fork is well described: "fork fit for a feast." 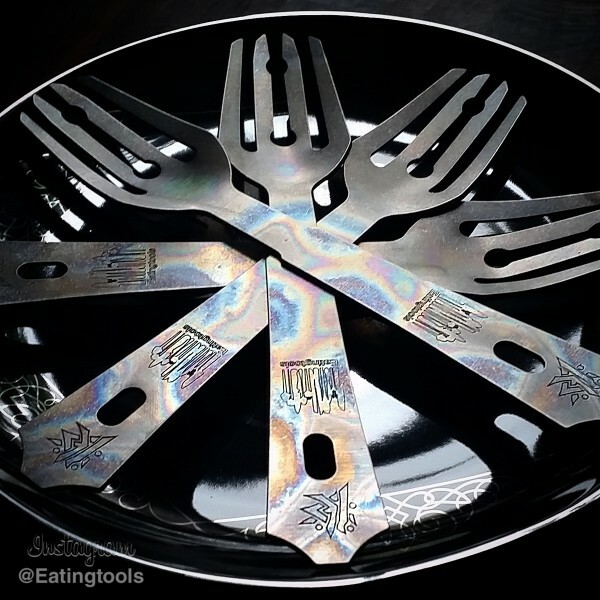 I love the stamped Eating Tools logo. (reminds me of a portion of the NY skyline from a distance). It served me so very well with my chicken rice bowl as I enjoyed perfect bite size chicken pieces in a tomato sauce (with baked jasmine rice). 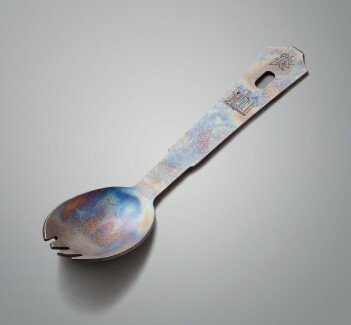 I can carry it with me....It is not flashy metal (matte finish) so I can enjoy eating with quality flatware without the standard provided plastic fork. 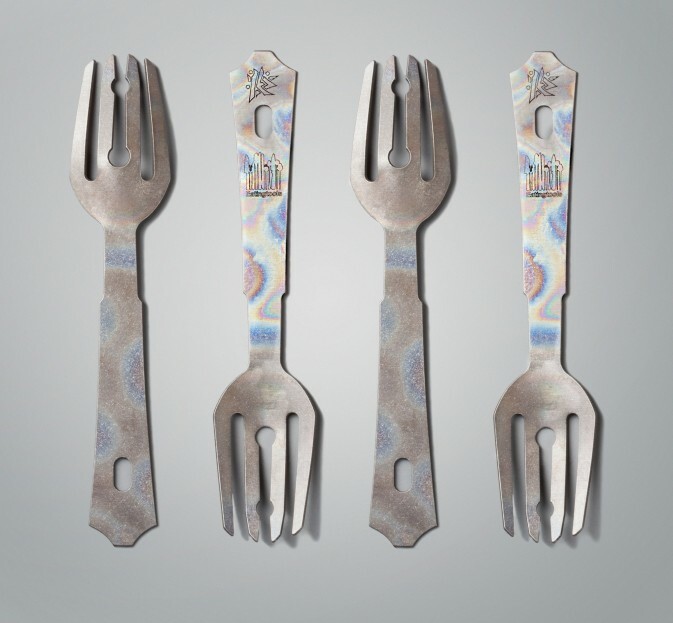 It is colorful and won't be left behind on the plate with its tumbled and heat anodized finish....5% of all AK Eating Tools Fork sales will be donated to food related charities is another plus.